Lusaka Province Minister Bowman Lusambo has observed that enhancing cultural and musical exchanges between Zambia and the Democratic Republic of Congo can contribute meaningfully to the growth of the music and art industry in both countries. ZANIS reports that Mr. Lusambo said there’s need for Zambia and DRC to consider working together in promoting music and tourism considering that the two countries have similar cultural heritage and customs. He implored accomplished musical stars like Koffi and others from Congo to also consider helping Zambian artists to penetrate the competitive international musical market. The Lusaka Provincial Minister was speaking when celebrated Congolese rhumba maestro Koffi Olomide and his ensemble called on him at his office in Lusaka today ahead of two planned rhumba musical shows slated for Lusaka and the Copperbelt. Mr. Lusambo explained that government in the Seventh National Development Plan (7NDP) has placed high premium on arts and film industry as a way of creating the much needed wealth and jobs for young people in the country. And speaking on behalf of Congolese rhumba maestro Koffi Olomide, 360 General Dealers Chief Executive Officer Suke Tshile said Koffi is now a rhumba legend and has started grooming a generation of next rhumba stars in Africa. Tshile has since called on Zambian artists to consider forging partnering with Koffi Olomide so that they can be mentored at his two state of the arts studios in Congo. 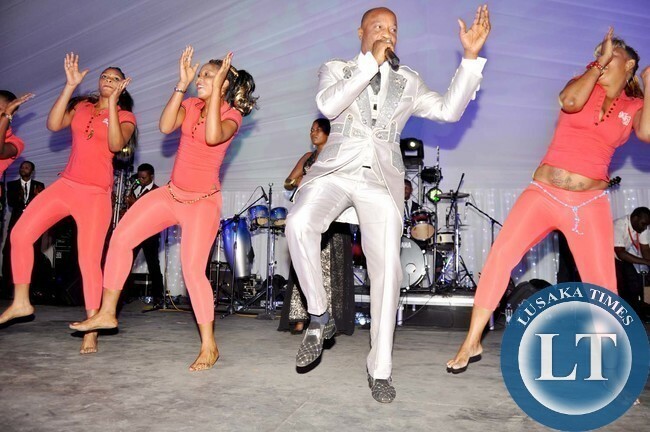 Koffi is expected to perform on Friday, 26th July, in Lusaka and Saturday, 27th July, on the Copperbelt respectively. Mopao mukonza the rumba legend! Learn what? how to abuse women and kick photographers! Shsme on our country we cannot bar abusers but just small time dancers! And you roll out a red carpet for him? Their Guidance Minister Sumaili guided them not to befriend the Kaiser-alike-Kofi behavior. But it’s same PF ministers now hiring Kofi to implement the 7NDP. Thats suitable job for Lusambo. Not presiding over graduates. If you shut the gate to bar workers like prefect , who loses. Its government that losses. I just go to soweto to buy salaula and kapenta and go home to sleep. How can a govt minister surpot someone who is under probe. The Minister of Religious affairs said Kofi will be arrested when he comes to Zambia. One wonders in what capacity she issued that statement .Then the Zambia Police says he has been cleared. This is the circus we talk about in Zambian government circles where Ministers report on issues not directly under their portfolio only to be overruled by responsible ministries. You have got the dates wrong.Friday is the 27th and Saturday the 28th. Nothing to learn from this dirty guy, guys please! Muletusebanya!